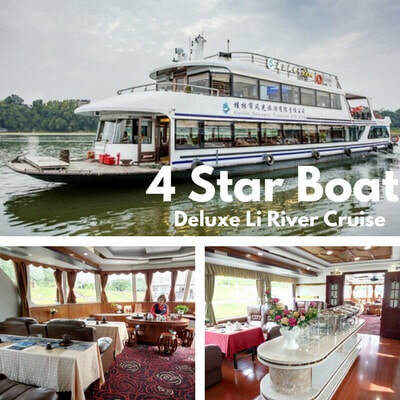 The Luxury Li River Cruise is the best choice (and most luxurious option) to experience the Li River - available on set dates only and sells out quickly. ​CLICK HERE TO VIEW LATEST SCHEDULE. 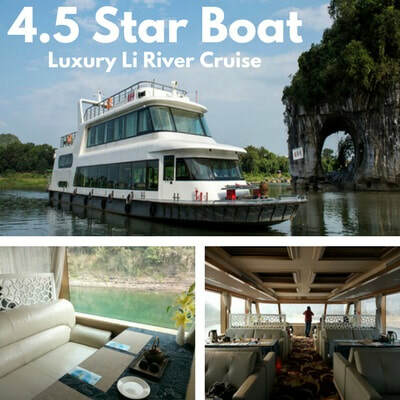 The Deluxe Li River Cruise operates each day, providing visitors a deluxe experiences with excellent facilities daily. 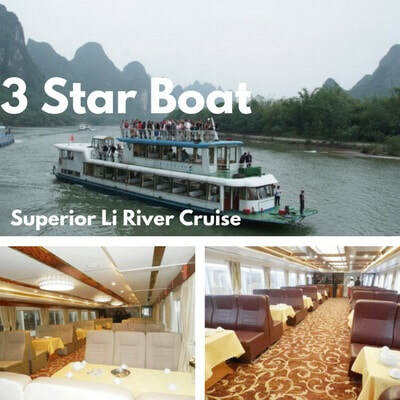 The Superior Li River Boat Cruise is the 3-star Boat option for experiencing the Li River. It operates on a daily basis with multiple boats daily. Li River Cruise Schedules with guaranteed departures.